Following punk and indie rock and getting into everything from “well-known” underground music to smaller, local bands ended up creating a place for me in a counterculture scene that was welcoming and unique. A wide open road of my future. I even had the fortune of playing in a band as a kid. Well, a college student… but nonetheless, a kid. Toying with such an idea as a teenager seems common, and I followed that path willingly. However, I couldn’t play a thing. No instrument to my name besides the years of piano lessons I left behind before middle school. I messed around a bit with guitar and trombone, but it was nothing ever good. So, what’s a young man to do in that situation? Become the stand alone vocalist, of course. And so it was—I fronted a punk band in the late nineties/early 2000’s. And it was great. Oh, we weren’t particularly good; most of the time we were figuring out our sound from song to song. We evolved in our short time together to be able to put out a few albums and go out a couple self-promoted tours around the midwest and the east coast. I’ll cherish that forever. All that time, I was introduced to new bands, new people, new conversations about life and its meaning. And because punk was so DIY, the cheapest way to put out music was often on vinyl. Records became an interest of mine because that’s exactly what was put out by the bands I loved. In graduating college and finding a full-time job (and simultaneously becoming much of what the younger me would have hated), I lost a lot of this past along the way. Music was put out in digital form, MP3’s and online music ruling the release formats. After well over a decade away from records, I found a renewed interest with the resurgence of vinyl in the last 5 years or so. I realized I never lost that need for the animate, tactile version of music. 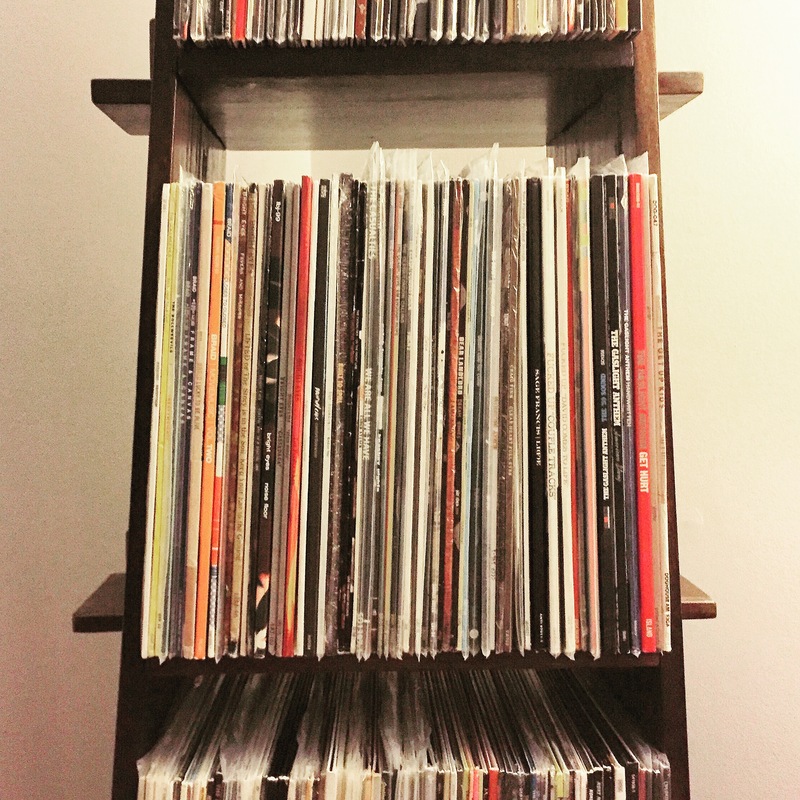 So I got a new turntable, dug out what albums I still had, and have since built my record collection to include all of my old favorites… as well as plenty new. Not just punk or indie rock, but any and all styles to fit the many moods of life. Lately, one of my favorite things to do is to just sit and enjoy. It used to be I wanted to keep busy with my music—I wanted it to kick me in the eardrum and pull me across the room. But now it’s fulfilling to sit down and relax, flip on the turntable, and drop myself into a record. The world keeps spinning. Right along with the deck and me, the world keeps spinning. All those skips give me pause. All those crackles let me breathe. See, it’s vinyl that seems to best hold an artist’s passion, and with it, life’s wonder. It’s held in the records, the sweat and grit and hours of work—it can be heard right there in the grooves which have defied extinction, escaped death, and come back to thrive in the music industry. Sure, there are purists who have a distaste for the new crop of record companies popping up, or the more expensive pricetags, or the “hipster” branding to collecting vinyl records. But I’ll take it. I’ll lobby for new artists to release their music on an actual album, one you can hold instead of download. Liner notes you can touch and pour over, examining each detail of a band you love so you can feel like you know them personally. Because, guaranteed, musicians have created music for themselves, but they sure don’t mind if people appreciate what they’ve made. To lose yourself in sound and lyrics is something I wish for everyone. After all, our favorite songs are the soundtrack to ourselves. And as for that teenage me of yesteryear? Instead of degrading the older version of himself, maybe he’d be impressed in the philosophical teacher and writer still listening to some of the same bands. Or maybe not… who knows, with all that angsty teenage feist. Interesting post. Thank you. Just a query. You wrote to me a while back asking me about 4th December. I replied, but I haven’t heard anything back. Life may have moved on, and that’s fine if so. But just let me know, either way! I responded via e-mail earlier this morning.. Yes Scott is interesting, we all are – we have layers that other folks don’t see. The day before Christmas break, he’ll dress up in holiday garb and wish the kids a happy holiday on their way out of the building. Have a wonderful week.